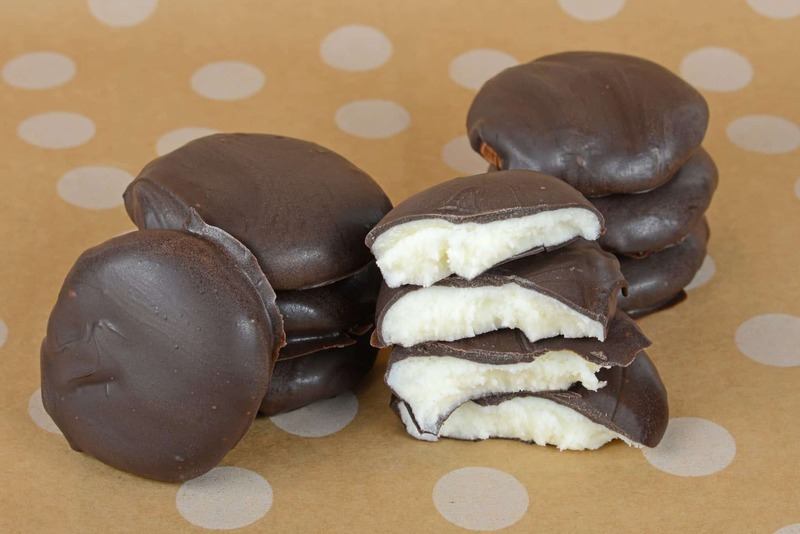 This Homemade Peppermint Pattie is a delicious treat you can make all year long! They take under 5 minutes to make and you only need a handful of ingredients, you won’t find an easier candy recipe! 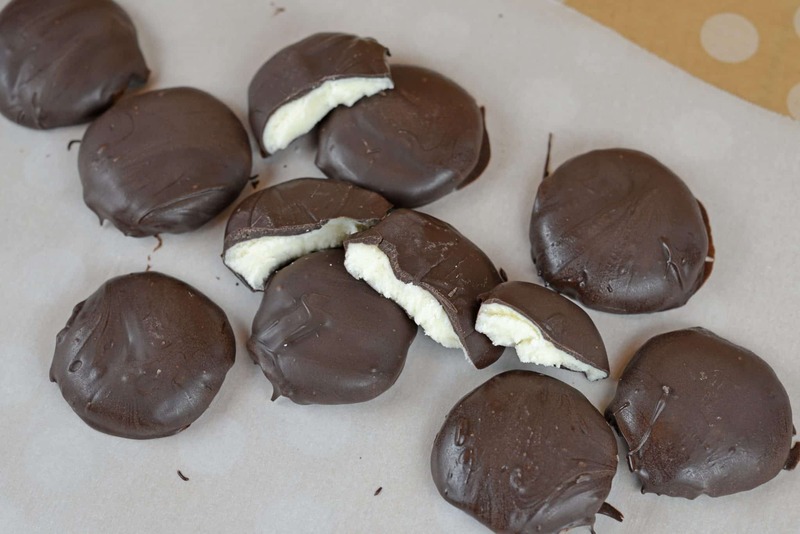 Cool and creamy, this Homemade Peppermint Pattie recipe is so easy to make! 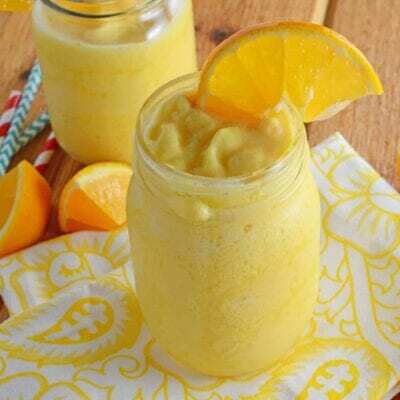 It only use 4 ingredients and can be customized to fit any holiday or event! It is almost Valentine’s Day and rather than buying price-inflated candy at the grocery store I prefer to make my own. Homemade Peppermint Pattyies were on my list this year. 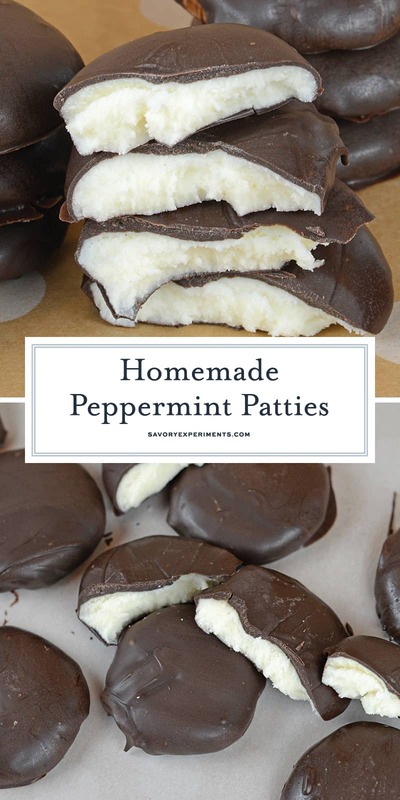 After three trial runs and lots of taste testers, including one self proclaimed “Peppermint Pattie Expert” this recipe has been declared THE BEST Peppermint Pattie recipe! Mistakes made include using regular “mint” extract instead of “peppermint”. This was one of those “duh moments” and resulted in spearmint instead of peppermint. Not bad really, but not a homemade peppermint pattie. It did prompt me to realize that I could make any flavor of “pattie” I wanted! Vanilla, raspberry, spearmint, chocolate, maybe even a guinness flavor for St. Patrick’s Day! Also make sure you allow enough drying time for the creamy filling. Any excess moisture can impact the ability of the chocolate to stick and set to the outside. Lastly, using dark chocolate versus milk chocolate. I never realized that Peppermint Patties are dark chocolate! Finally, I am on the fence about adding the food coloring. No matter if you use a gel or liquid, red food coloring always has a funny taste even when used minimally. It is up to you. It does add a festive nature. You can opt out for the food coloring on your homemade peppermint patties and just add colorful sprinkles to the top while the chocolate is still wet. I prefer using Candy Melts, they melt nice and smooth and set up great, but if you don’t have them on hand, you can use regular chocolate and add a teaspoon of vegetable oil to help it become smooth. 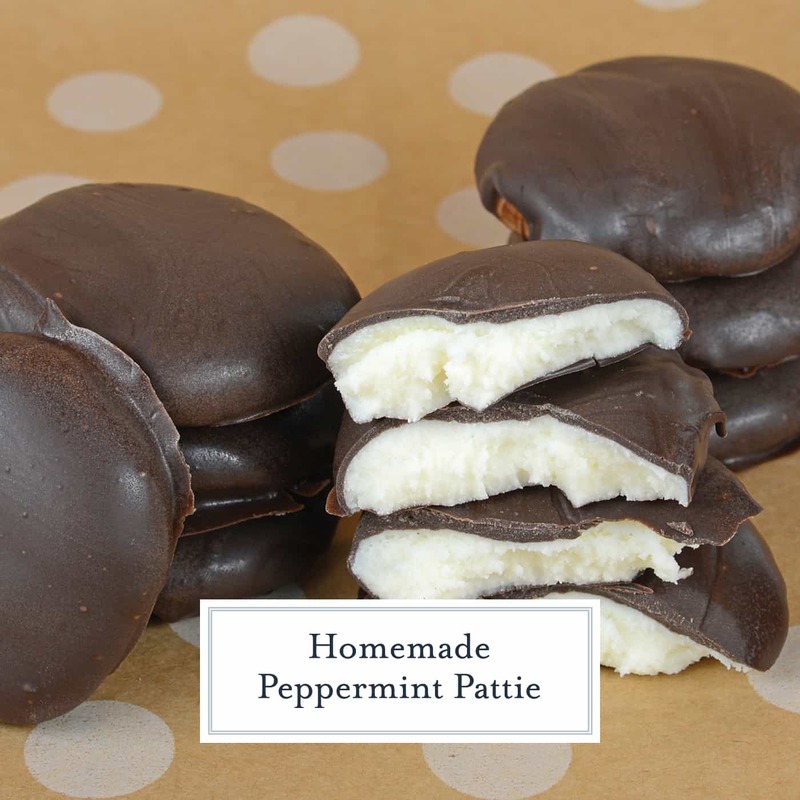 Cool and creamy, Homemade Peppermint Patties are so easy to make and can be customized to fit any holiday or event. In a medium mixing bowl or the bowl of a stand mixer fitted with a paddle attachment, blend together sweetened condensed milk through powdered sugar. Add food coloring at this step if you desire a color. Mix at a medium speed for 5 minutes or until mixture is smooth with no lumps. Dough will be stiff and easily workable with your hands. Line a large rimmed baking sheet with wax paper. Roll dough into approximately 28 1-inch balls. Flatten each with the palm of your hand to make the filling for patties. Allow to dry at room temperature for at least 2 hours, flipping once. Right before melting the chocolate place in the refrigerator or freezer for 15-20 minutes. 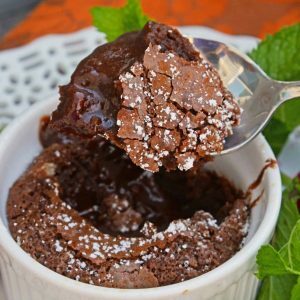 Melt chocolate in double boiler. Dip patties into chocolate, tapping on the side to get excess off. 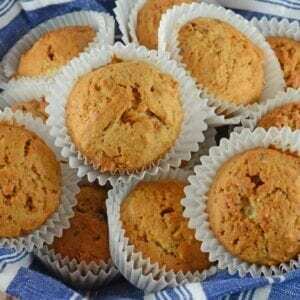 Place onto a parchment paper lined baking sheet to cool. If you desire sprinkles, add now. Place in the refrigerator for an additional 30 minutes to set. 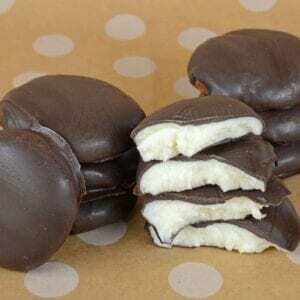 Peppermint patties are ready to eat. I store any extras in the refrigerator not only because I prefer mine to be chilled, but because the chocolate has the tendency to sweat a little depending on weather conditions. Enjoy! 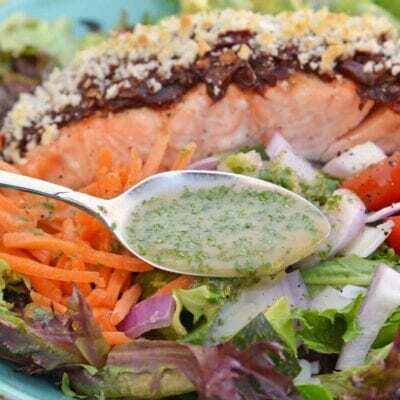 If you tried this recipe, come back and let us know how it was! I did not add any wax to the chocolate, but you certianly can! Maybe I’ll give that a try next time!